Thanks to his new autobiography, Richard Dawkins is making the media rounds again. Recently, he appeared on the Michael Medved Show. The host, who is a friend of mine, is also an adherent of Orthodox Judaism, so perhaps because of this Mr. Dawkins was more well-behaved than usual. During the interview, Mr. Medved asked, "Do you think it is appropriate and in fact intellectually necessary to level different kinds of criticism at, say, Christianity as opposed to Islam, or is it appropriate to lump all religions together?" "I would lump them together insofar as they all go by faith and all believe something without evidence... On the other hand it would be, I think, unfair to tar them all with the same brush when it comes to the ill effects that they have on the world. There is no question that, at present, the most violent religion is Islam. Go back 500 years and you'd have to make a different judgment." I think the effect of all religious faith is negative... I think that faith teaches you to believe something without evidence, and that shuts your mind off... As a scientist and as an educator, I'm against the idea of faith -- the idea that you believe something simply because you believe it. In other words, his primary opposition to religion is that it is based upon believing things without evidence -- just like his belief that "mild pedophilia" isn't all that bad. Abby Ohlheiser, writing in The Atlantic Wire, properly rebukes Mr. Dawkins for relying "on anecdotal evidence and speculation to 'prove' his point." But, it's actually far worse than that. 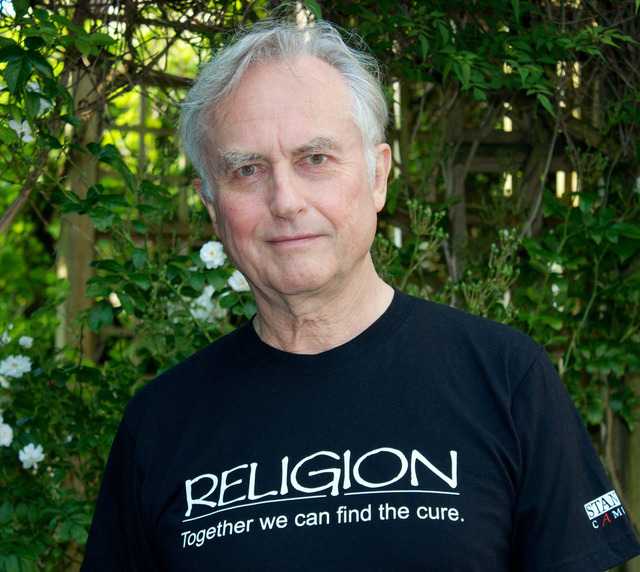 Research has shown that Mr. Dawkins' claims about religion are probably untrue. While it is possible to find evidence supporting both sides of the debate, it is nonetheless true that many researchers believe that religion promotes both physical and mental health. For many religious people, faith provides a source of hope and companionship with like-minded believers. Furthermore, Mr. Dawkins' belief that religion is one of the world's great evils is also untrue. Yes, evil things have been done in the name of religion. But, as John Tures reports in Pacific Standard, the vast majority of wars since 1648 (when the Peace of Westphalia was signed) were due to power and land grabs and regime change, not religion. My point is not that religion itself is the motivation for wars, murders and terrorist attacks, but that religion is the principal label, and the most dangerous one, by which a 'they' as opposed to a "we" can be identified at all. What does that even mean? Data doesn't support his belief that religion is evil and dangerous, so he restates his position by claiming that religion is a dangerous "label." That's nonsensical. Besides, if humans weren't interested in power and money, there would be almost no war. Behold, the Gospel according to Richard Dawkins! I wonder how many converts he has won using such persuasive language.